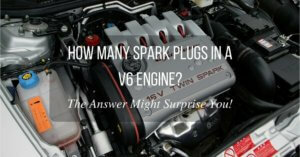 →How Many Spark Plugs Are In A V8 Engine? 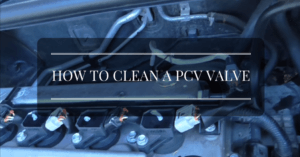 How Will I Know If My V8 Motor Comes With Twin-spark Or Dual Ignition? 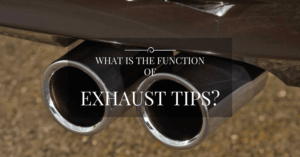 What Are The Benefits Of Having More Spark Plugs In A V8 Engine? Should I Replace All The Spark Plugs At The Same Time? The fastest way to know is to read the owner’s manual. 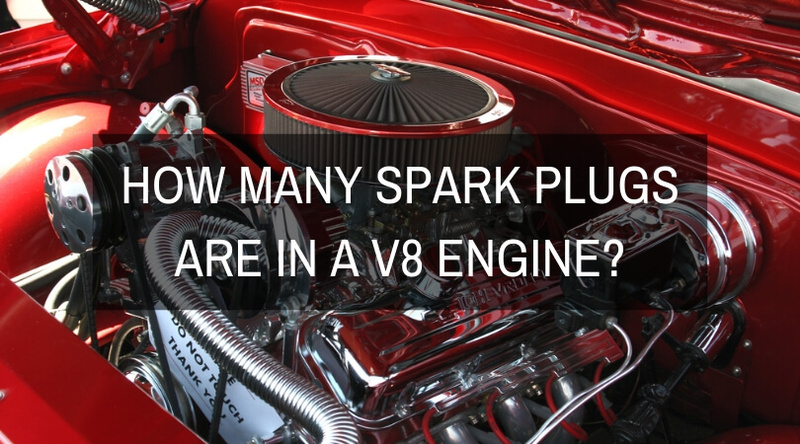 Certain Mercedes and Dodge V8 engines are equipped with sixteen (16) spark plugs! But why is this so? Let’s take a closer examination at an engine we’re all familiar with, which is Chrysler’s 5.7-liter HEMI V8. This engine uses two spark plugs per cylinder. And since there are eight cylinders in a V8, the total is 16 spark plugs. The same can be said for other V8 motors with dual ignition. This technology has been around since 1914 and was first used by Alfa Romeo for their Grand Prix racing car. But this technology was eventually adopted by modern engines like the HEMI V8. And while Alfa Romeo developed twin-spark for racing, Chrysler is doing it to achieve two things: maximum horsepower and lesser emissions. But there’s another way to check if your V8 motor has eight or sixteen spark plugs. Simply pop open the hood and count the number of spark-plug wires. If you find eight spark plug wires coming from the engine, then the motor comes with eight spark plugs. However, in the case of the HEMI V8, you’ll find eight ignition coils instead of wires. This may lead you to believe the vehicle comes with eight spark plugs. But if you inspect closely, each ignition coil is providing power to a set of two spark plugs. If you pull out the ignition coil, you’ll see there are two long contact points for two spark plugs in each cylinder. It’s hard to say. Each manufacturer designs their engines differently than others, while some will have the same design with different internal parts. But the better question is not about the benefits of having more spark plugs but why. And all of this has something to do with engine design. 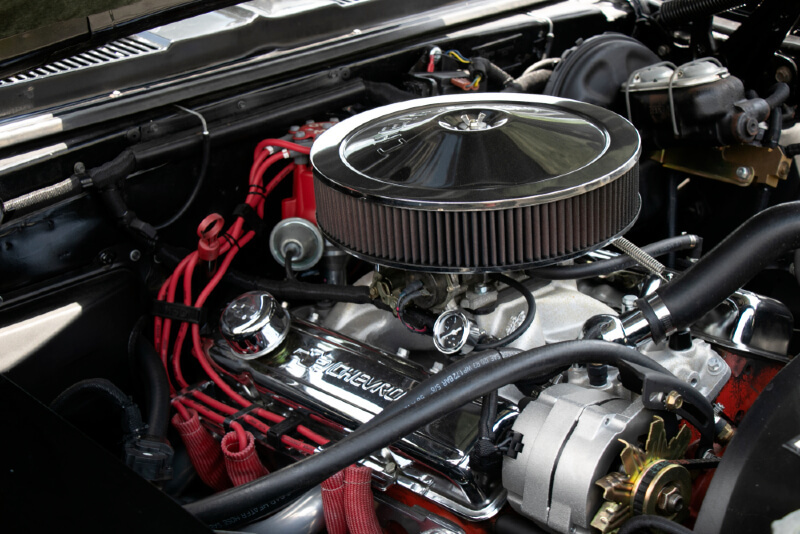 In the case of the newer HEMI V8 with MDS (Multiple-Displacement System) and VCT (Variable Camshaft Timing), two spark plugs are required to achieve a complete burn in both low and higher engine speeds. HEMI motors with VCT (which started in 2009) can advance or retard the timing with respect to the camshaft. Generally speaking, the valve timing is retarded at higher engine speeds to boost the horsepower output. On the other hand, the valve timing will advance at lower engine speeds to provide more torque. This is also the reason why the axle ratio on certain Dodge vehicles equipped with newer HEMI V8 motors was dropped from 2.87 to 2.65. Dodge achieved this without losing the strong acceleration that is inherent with the HEMI V8. 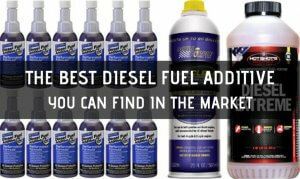 This also results in better fuel economy in normal driving applications. We’re not saying that twin-spark or dual-ignition V8 motors are better than single-spark units. It all has something to do with design and engineering. Other carmakers simply wish to take the simplified route to save cost. And this is where the downsides of having more spark plugs will reveal itself. For one, servicing a twin-spark motor will take more time, which means more labor hours and higher costs for the consumer. You also need to consider the cost of replacing sixteen spark plugs. I have to admit, spark plugs are not really that expensive compared to replacing sensors. 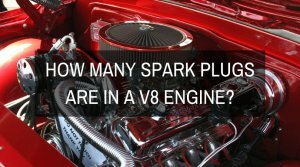 But if you add it all up, you’ll end up paying double since a V8 motor with twin-spark or dual ignition will require double the number of spark plugs. If you consider long-life iridium spark plugs costing around $30 a piece, that’s $480 for a set of sixteen spark plugs. But if you have a conventional V8 motor, it will only cost $240 before adding labor and other related expenses. 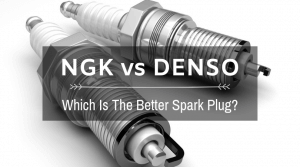 More reading on which spark plug is best for your vehicle? Yes. Don’t believe what other people say about replacing spark plugs. 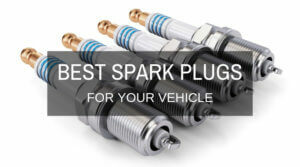 Some will only replace one, two, or half the number of spark plugs to save money. Truth be told, I find nothing wrong with this as long as the spark plugs are of the same type and the mechanic is certain of the condition of the remaining spark plugs. But even though it’s virtually okay not to replace all the spark plugs at the same time, it is highly recommended to replace or change all the spark plugs at the same time. If you’re not convinced, check the owner’s manual. I know some Mitsubishi V6 engines that come with two sets of spark plugs: ordinary and long-life. The engine will have three ordinary and three long-life plugs. The reason for this is the second bank of cylinders are difficult to access, hence requiring long-life plugs so you won’t need to replace the spark plugs that often. 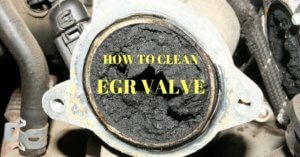 However, the three ordinary spark plugs in the other bank will need to be changed more often at specific intervals. But you should always replace all the spark plugs in your V8 motor at the same time. If we go back to the HEMI 5.7-liter V8, the engine comes from the factory with standard/ordinary spark plugs, and Chrysler recommends changing all the spark plugs every 30,000 miles! 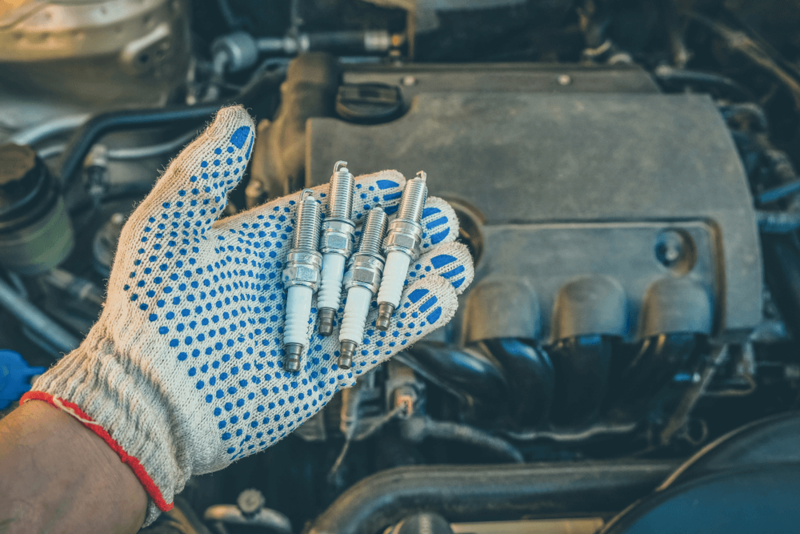 Changing the spark plugs in any vehicle is nothing more than pulling out the spark plug wire or ignition coil, removing the spark plugs, and inserting the new ones. But modern engines like the 5.7-liter HEMI V8 will require a different technique. The most important thing to remember is to allow the engine to cool down completely. This is true for all engines equipped with aluminum heads. And since aluminum is more delicate than steel, extreme care is required when changing or removing the spark plugs. If your V8 motor is equipped with aluminum heads, it is important to let the engine cool down (preferably overnight) before removing the spark plugs. 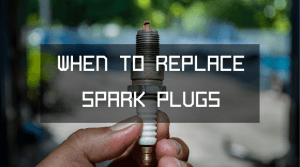 Make sure to check the gap of each spark plug before installing. The HEMI V8 requires a spark plug gap of 0.043-inches in a conventional plug. 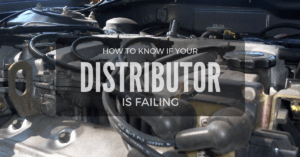 Your vehicle might not be the same. Check the service manual to determine the right gap. When tightening the spark plugs, applying the right amount of torque is critical. It is relatively easy to overtighten the spark plugs, which may end up damaging or warping the aluminum head. Always use a torque wrench and refer to the owner’s manual for the correct torque specifications. In the case of the HEMI V8, the torque setting for tightening the spark plugs is 13 lbs.-ft.